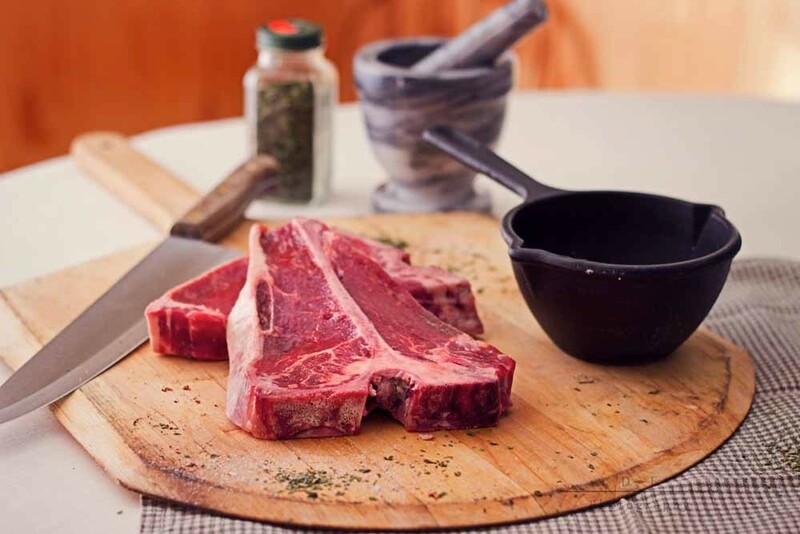 What makes 14-day aged and 30-day aged beef so different? You may be wondering what is the fuss all about? What does aging a cut of meat mean? Why is this important? Let me explain. Aged meat is hung up in an open air refrigerator and the temperature is placed just above freezing. The longer the meat ages the better it is. While the meat is aging in the fridge the enzymes in the meat are making it more tender and more flavorful. You may think that only expensive beef cuts are aged but that is not so. Any meat that you buy that has been vacuum-sealed has also been aged but for a very short time and usually while on transit to your grocery store. This is called wet-aging and it is less expensive for ranchers. However, the flavor and tenderness of the meat are not close to comparable to dry-aged meat. The two major dry-aged categories are 14-day and 30-day aged beef. You may be thinking, I’m sure they’re both delicious. You are right, but 30-day aged beef is more expensive and for good reason. According to Jess Pryles, in his article “What is Dry Aging? Truths, myths and facts”, the two periods of time lead to different changes in the meat. Pryles explains that the first 14 days the meat is mainly becoming more tender with minimal improvement on flavor and during days 15-30 is when the enzymes in the meat cultivate the delicious flavor. So in short if your meat has been aging for 30 days like it does at Rafter W. Ranch in Simla, Colorado. You will enjoy the perfect cut in both tenderness and flavor. Stop by our website and order some perfectly aged beef for your table. You will not be sorry.